The Miner Meltdown Easter Update (1.0.2.0) is upon us! 33% Off Easter Sale! ON NOW! 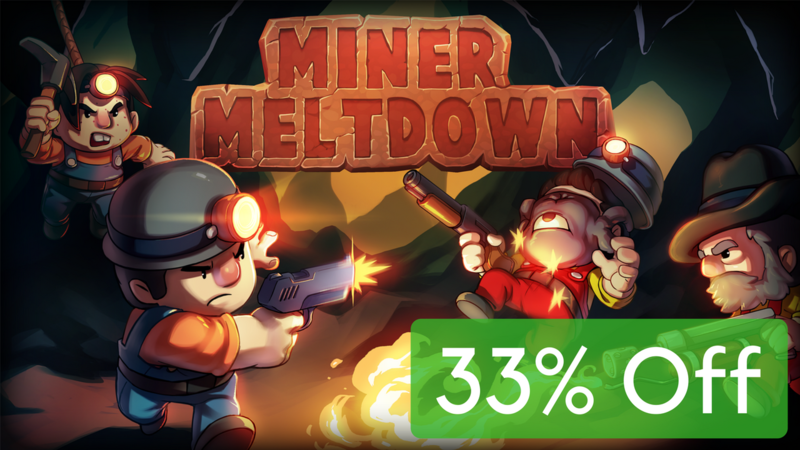 To celebrate Easter, Miner Meltdown is temporarily at an all-time low 33% off. Now is the best time to grab a copy for yourself, your cousins, and your cat. You voted, and the newest weapons joining the arsenal are the medic gun, and the alien blaster. Go try em' out! 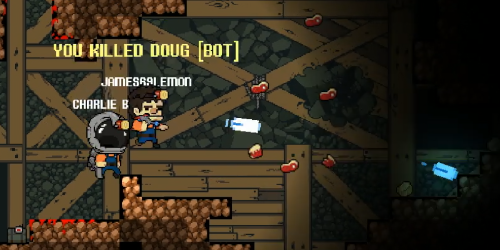 Miner Meltdown has a brand new game-type: Diamond Dash. Collect diamonds and bring them to the central drop-off zone to score points. 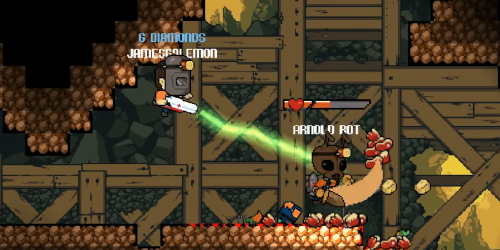 But be careful, if you get killed, your enemies will pick up all of the diamonds that you dropped. Play anytime before Easter, and you'll have a chance at unlocking the limited edition Bunny Miner. "Kill The Dev" Achievement Added! If you see this guy hopping in/out of your games, then that would be me. Manage to blow me up and you'll unlock a special achievement.